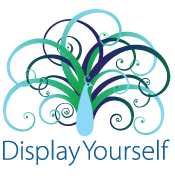 Expedite your setup time while adding lavish appeal with our newest DX Fabric Displays. Available in heights from 5.5 ft up to 9.5ft! Available in widths of 3, 4 and 5 feet. Stretch “pillow case” fabric graphics can be single-sided with white or black back or double-sided. 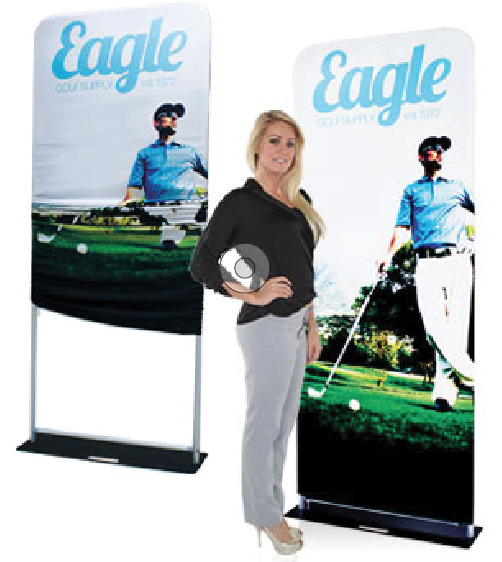 The 3 and 4 foot wide x 7.5 versions pack compactly in 36″ x 48″ carry cases, just like retractable bannerstands! • Slip-On Stretch Fabric Graphic.